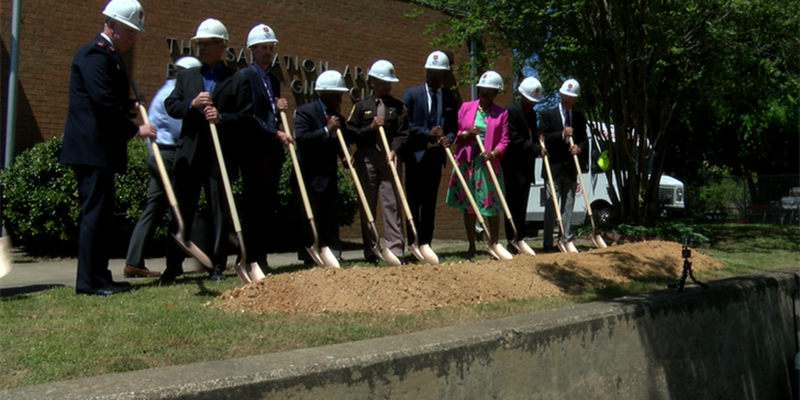 RICHMOND, VA (WWBT) - The Salvation Army Boys and Girls Club broke ground Wednesday on a new addition and renovation to its East End facility. Mayor Levar Stoney and Richmond Sheriff Antionette Irving were on hand for the ceremonial start to the nearly $7 million project. It's a project that's close to Irving's heart. She grew up in the neighborhood, and was a member of the Boys and Girls Club. "This was my foundation. It gave me direction to ensure that I could be whatever it is that I wanted to be," said Irving. "Whoever, where ever, whenever: the possibility is still there for me and the possibilities are there for the young people standing in the middle of that street. Keep your mind open, keep your eyes open because this is the place that could transform the rest of your life." Ten thousand square feet will be added to the building for new after-school and community activities. Plans also include upgrading the pool so kids can use it year-round instead of just in the summer. Construction should be finished by the end of the year.